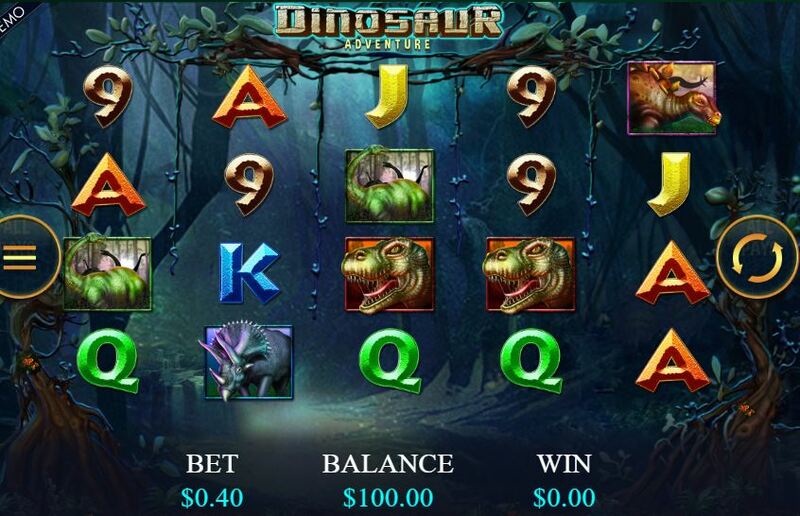 Dinosaur Adventure slot from Genesis Gaming is a good game with 1024-ways to win over 5 reels and 4 rows. 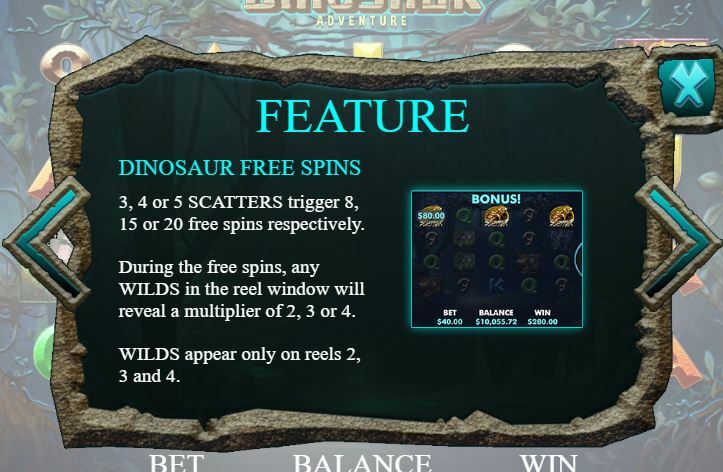 There are stacked symbols featuring cards and dinosaurs naturally with non-multiplying Wilds on reels 2, 3 and 4. 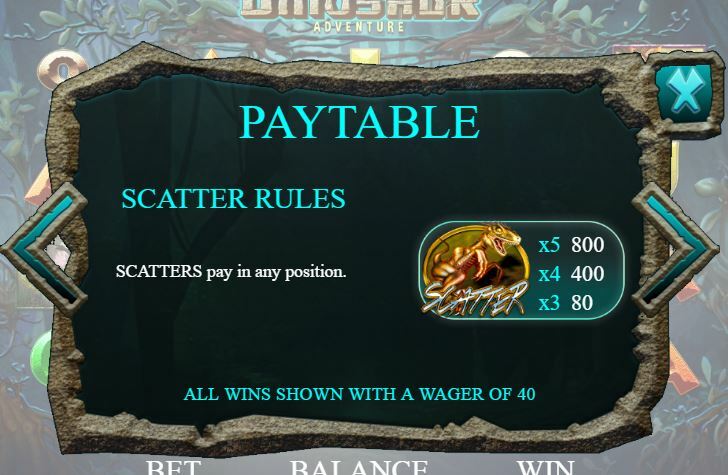 Should you land 3 or more skinny-looking T-Rex scatters you will be awarded 8 free spins. 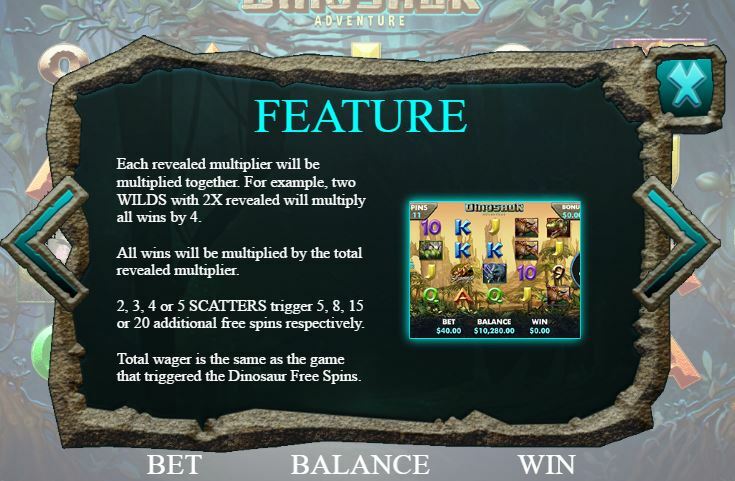 During these, which you can retrigger, Wilds randomly receive a multiplier of 2x, 3x or 4x thus it’s possible to multiply wins up to 64x!! This is similar to the mechanics of Raging Rhino – and you have a great RTP of 97.25%.